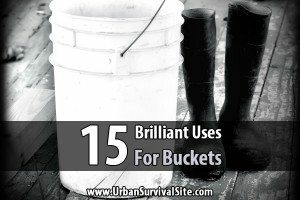 A while back, I posted an article about 19 survival items to buy before winter arrives. 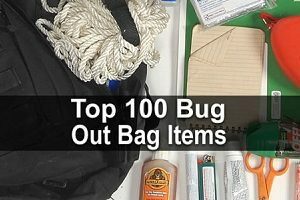 That list was mainly about things you should keep in your vehicle during the winter, but this one is about winter survival items in general. 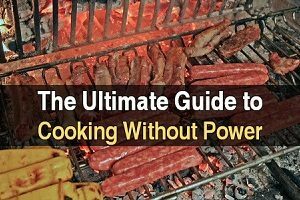 Every prepper worth their salt should be prepared to ride out an extended power outage. 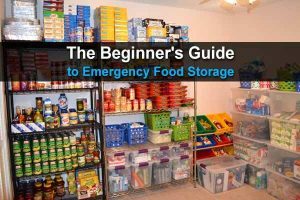 Doing this means stocking up on typical survival items like food, water, flashlights, medical supplies, and so forth. But preparing to do this in the winter requires an additional list. Below is a list of things you should add to your emergency supply for winter. Although the idea that the majority of your body heat escapes through your head is a myth, certainly a lot of body heat escapes that way if you don’t have a hat. Plus, you don’t want to risk getting frostbite on your ears. These are a must if you need to clear your driveway or a make pathway to your car. Don’t just use a standard snow shovel. Get one with a steel blade and avoid the flimsy plastic ones, otherwise, you might find yourself purchasing a new shovel every year. These are important in case you need to leave in a hurry. There might not be time to turn on the heater and wait for the windshield to defrost. The kind with a brush on one side is best as it allows you to remove the snow without getting your hands cold. Another must. Wool is better and warmer than cotton or fleece. If there’s a power outage, you’ll need to cover up with warm blankets. These are important for keeping your feet warm. Don’t risk getting wet or cold when you’re gathering wood for the fire or doing other outdoor tasks. Preferably winter gloves that will stay dry while you move through snow. Cloth gloves will get wet and your hands will get even colder. Instead, get some polyester gloves that allow you to move your fingers freely. These are wonderful to have in the winter. Just open the package and they start warming up and will stay warm for several hours. You can hold them in your hands, or you can put them in your pockets to help keep your body warm. Another must-have item if you don’t have a wood stove. Although there are other ways to heat your home, I like propane space heaters because they’re safe to use indoors and they can keep the room nice and toasty. The downside is that you’ll have to buy plenty of extra propane. If you have a fireplace, it’s even better than a propane heater because you can also use it to cook food. Keep an extra cord of firewood if possible. If there are locals who use their fireplaces throughout the winter, ask them how many cords they go through. This can be very helpful when there’s ice. Put it under tires for traction if your vehicle slides off the road or gets stuck. You could also keep it on the porch and throw some on the steps before walking down them. This is even better than kitty litter for porches and sidewalks. Just spread the pellets around and it will start melting ice immediately. Or gravel. They are similar to kitty litter. Throwing sand on icy patches or under a spinning tire will help give the tire the traction it needs. They’re also a good idea for pickup trucks and cars that are rear wheel drive because the extra weight can help give you traction and keep you from fishtailing. This may be needed to pull the snow off your home’s roof as well as any outbuildings. You don’t want a roof collapse. Choose a rake that has an extension handle that will reach the top of your roof. This is to cover the windows can make a big difference. It will keep your home warmer and lower your heating bill. You can buy window kits or use nails to cover the windows with plastic. A necessity if you live in an area with trees. Heavy snow and ice often cause limbs to fall or become a serious safety hazard. You will need a chainsaw to cut up any trees that have fallen. A very handy tool. If you get stuck, you’ll be able to use any passerby that helps. Many people don’t carry chains and will not be able to help you, even if they have the perfect rig to do so. For splitting wood or chopping kindling will be needed. If you rely on your wood stove for heat, make sure you have wood chopped just in case you lose power. Like insulated bib snow pants will help keep you dry when you’re working in the snow. Make sure they’re waterproof because if they’re not, they should only be worn for short bursts or in dry weather. These are great to have in brutally cold weather. Frostbite is no picnic. It’s also a good idea to keep your mouth covered to avoid breathing in the icy cold air, which can lead to respiratory problems. These are necessary to prevent snow blindness. If you are driving or working in the snow you will need to protect your eyes from the glaring white. This may seem like an unnecessary item, but the cold wind and dry air will leave you with painfully chapped lips. Choose one that moisturizes and heals. 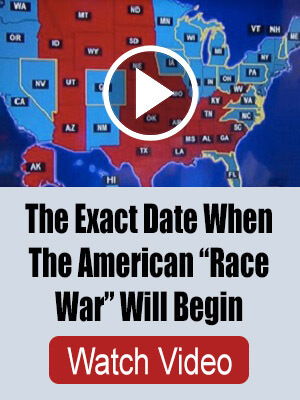 What did we forget? Leave a comment and let us know! Warming some bricks or rocks by the fire, than placing them in socks or a pillowcase to be tucked into your sleeping bag or blankets will also help keep you warm throughout the night. A thick stocking hat is a must. I have worn a thick hat over a thinner hat at times. Good gloves, and I don’t mean expensive ones. I have mostly used the fuzzy yellow “farmer gloves”. Here is a great trick: two pair–put one pair under your outer clothing, one glove under each armpit of your shirt. As soon as your hands get a bit chilly, trade for the toasty warm ones and replace the cold gloves next to your body. Warm hands ALL Day! Someone has probably come out with an EMP resistant car cover. All it would take is metallic threads sewn into the fabric. Has anyone heard of any? I’m addicted to Chapstick anyway, but if it seems to extravagant for you, petroleum jelly works well and has many other uses in an emergency situation. You may want to use the Ice Melt with care if you have inside animals (dogs and cats) as some of the chemicals can be poisonous to them if the lick up the water you track in. If you get packages often, keep the bubble wrap or buy some wide enough for your windows…spray the windows in the fall with a light mist of water and stick the bubble wrap to them to insulate your windows and cut down heat loss and drafts. If you have an axe, keep a file near it to keep it sharp..a dull axe is dangerous! A good wool scarf. You can use it as a scarf, an emergency hat, a face wrap etc.,to cover exposed skin. Candles..easy to make using mason jars with lids. Place a box of striker matches in them and put the lid on, place one in each room in case of power outages..
Thermacare pads. A lot like handwarmers but for larger parts of your body. We throw a couple in our packs when going hunting. They take up little room and can prevent hypothermia by keeping core areas warm in an emergency. Lol, fyi you can cook on a propane heater (or at least get it hot enough for soup, rice, etc…) we did it ask the time as kids. Good stuff. Last year I noticed a huge gap in my winter preps. My two wheel drive car has terrible traction in the ice we get in the South. We don’t get the nice fluffy snow thats common up north. It’s all slick ice here. With a week long ice storm my car was stuck at the bottom of my driveway. After that I found a company selling snow chains for my car. With them I was able to get up the driveway easily the next storm.